National Press Club President Sabra Lane will chair and moderate the event. As we approach the election, three leading Australian female economists, Danielle Wood, Nicki Hutley and Angela Jackson will outline their view of what should - and should not - be in the 2019-20 Budget. Should fiscal policy be tightened and surplus projections maintained or is there need for stimulus in the face of slowing global and domestic economies? What should tax reform look like? How should the government model and judge infrastructure investment? The panel will also outline how they think the Budget should deal with intergenerational and gender issues and optimise social and health outcomes. 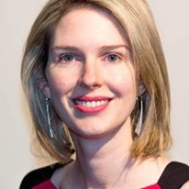 Danielle Wood is the Budget Policy Program Director at the Grattan Institute. She has published extensively on economic reform priorities, budget policy, tax reform and intergenerational inequality. Danielle is also the National Chair of the Women in Economics Network. 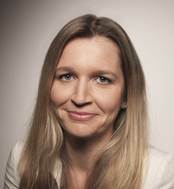 Previously, Danielle worked as Principal Economist at the ACCC, Senior Consultant at NERA Economic Consulting, and as a Senior Research Economist at the Productivity Commission. Danielle has a Masters of Commerce and a Masters in Competition Law from the University of Melbourne and a Bachelor of Economics from the University of Adelaide. Nicki Hutley is a highly experienced economist, with broad-based expertise in macro- and micro-economic issues, gained over nearly three decades of practice in financial and investment markets and consulting. She leads Deloitte Access Economics’ Urban Economics practice, and is particularly interested in the challenges of affordable housing, social and economic infrastructure investment, urban renewal, precinct planning, climate mitigation and adaptation, and overcoming disadvantage. Her clients include all levels of government and the private sector and she is passionate about using economics to improve the quality of lives through well-reasoned policy. Nicki is a regular commentator on economic and financial issues in the media and is a sought-after keynote speaker. 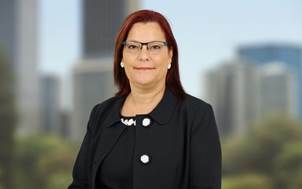 Angela Jackson: Starting her career as an economist at the Department of Prime Minister and Cabinet under John Howard’s Prime Ministership, Angela has worked across tax, fiscal and social policy. As the then Finance Minister Lindsay Tanner’s Deputy Chief of Staff, Angela worked on the Government’s response to the Global Financial Crisis and major reforms across the health, education and disability sectors. Currently a Senior Economic Consultant at Equity Economics, Angela is completing a PhD in health economics at the Monash University. Angela is also a non-executive Board Member and Finance Committee Chair of Melbourne Health, which runs Royal Melbourne Hospital, and has recently joined the Victorian National Heart Foundation Advisory Board. An annual contributor to the National Foundation of Australian Women’s Gender Lens on the Budget, Angela is passionate about ensuring that women’s voices are heard in the economic debates facing our country. As a veteran of seven Commonwealth Budgets, Angela brings an intimate understanding to the pre-budget discussion from the point of view of Governments that form them and the Oppositions that try to re-define them. Angela holds a Masters in International Health Policy (Health Economics) with Distinction from the London School of Economics and Political Science, a Bachelor of Commerce (Hons) from the University of Melbourne and a Bachelor of Economics from the University of Tasmania. The Women in Economics Network was formed in 2017 to promote and support the careers of female economists in Australia. The objectives for the Women in Economics Network are to increase the representation of women at all levels of the profession, promote public contributions by female economists and encourage young women to study economics. Please note that registration is required and numbers are limited. Both women and men are welcome to attend the event.